The Chinese Lunar New Year kicks off on 5 February until the 19th, and at Visa Welly On a Plate, we’re always looking for excuses to celebrate with food, so we’re all over the Year of the Pig. The Chinese believe eating particular 'lucky' foods at New Year sets you up for a fortuitous, healthy and wealthy year ahead. So to set you in good stead for the Year of the Pig, we’re pointing you in the direction of some of Wellington's luckiest dishes for Chinese New Year. Once Wellingtonians discovered the dumpling, there was no going back. These moreish, steaming little pockets of meat, seafood and/or veggies have taken the capital by storm in the last five years - and China for the last 1,800. Which is probably why dumplings are a tried and true menu item on the New Year list of lucky foods. Chinese dumplings can look like Chinese silver ingots (boat-shaped, oval, and turned up at the two ends), and the more you eat during New Year celebrations has a direct correlation to how much money you can make in the New Year. 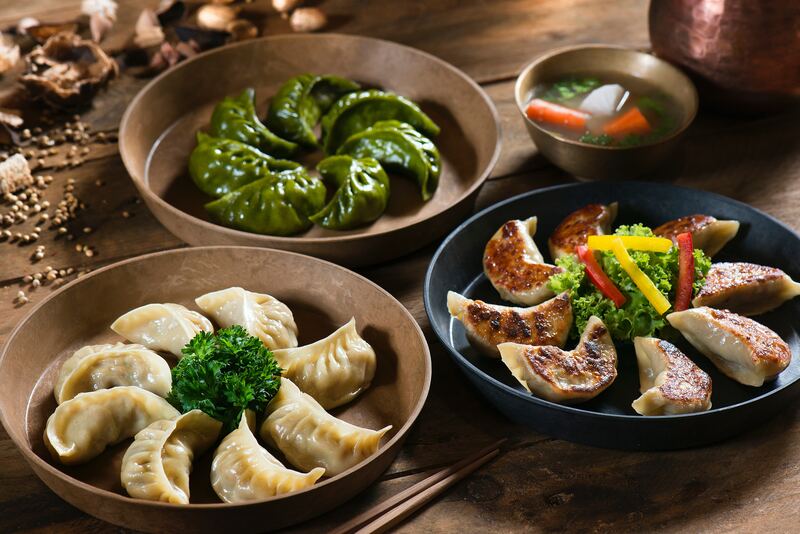 Good thing you can take your pick from a multitude of dumplings spots around the city - try Rams (amazing chilli oil dumplings), Dumpling’d, Goldie’s, The Dumpling Company or Wellington mainstay, HK BBQ & Tea. And, of course, there’s the ground zero of Wellington dumplings, House of Dumplings. Some insider dumpling tips: Refrain from eating dumplings with Chinese sauerkraut (酸菜 suāncài) in them at New Year, as it implies a poor and difficult future. Additionally, your dumpling ideally should sport a good number of pleats on the edges as flatness is a portent of poverty. Lucky Saying for Eating Dumplings: Zhāo cái jìn bǎo (招财进宝) "Bringing in wealth and treasure" — a wish for making money and amassing a fortune. Longevity noodles (长寿面 Chángshòu Miàn) take their name from the fortune bestowed upon the diner, when these uncut and longer-than-your-norm noodles are eaten, fried or served in a bowl with broth. The length is symbolic of a long and healthy life - so be prepared to slurp, inhale and chew your way through a massive pile of noodles in the name of locking in a long life, well lived. Dragons Chinese Restaurant has the longest noodles in town this Lunar New Year with a traditional Longevity Noodle dish, made of stir-fried, hand-pulled egg noodles, BBQ’d pork, shiitake mushrooms and shredded carrot. 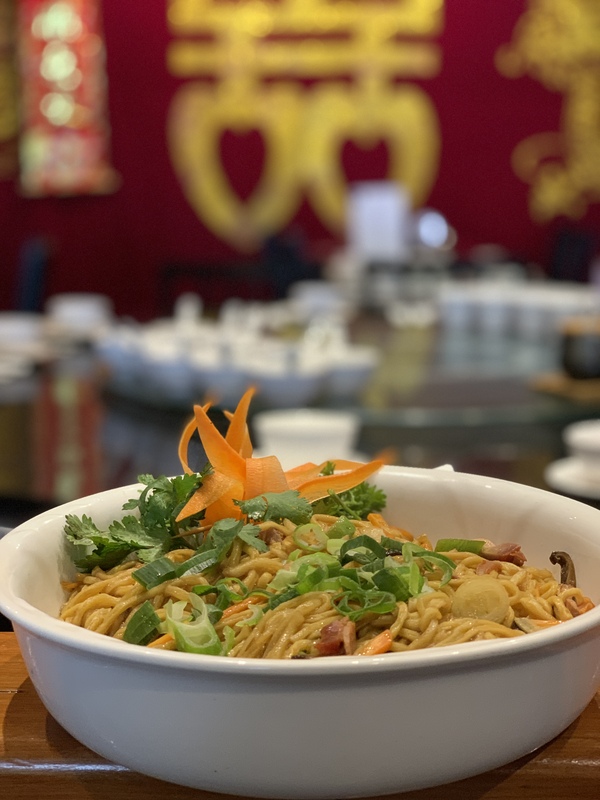 Eric Kong of Dragons says whilst they serve this dish all year round, families will often eat these noodles on Chinese New Year Eve and throughout New Year celebrations to bank some sweet, sweet longevity. 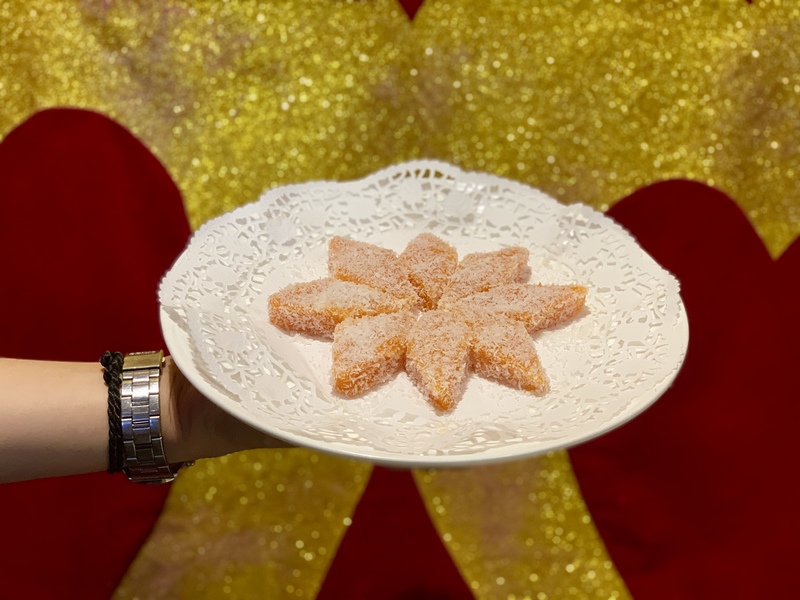 On the topic of "sweet", why not top off your Longevity Noodles with a lucky sweet treat, and try the Glutinous Rice Cake (年糕 Niángāo)? In Chinese, glutinous rice cake sounds like “getting higher year-on-year”, meaning, the higher you are, the more prosperous your business or position in life is. Dragons serve up eight of these little cakes covered in shredded coconut - eight being a lucky number favoured by Chinese for its connection to wealth, prosperity and high status. Eric Kong of Dragons adds that when finishing a meal, whether it be a celebration or commiseration (such as a funeral), with something sweet always closes or brings the occasion back to the positive, sweet things in life. Lucky Saying for Eating Glutinous Rice Cakes: 年年高 (niánnián gāo) "Getting higher year-after-year by year" can relate to success in business, a child's height/growth, promotions at work or good grades at school. You’ll be able to find both at Chow - Vegetable Spring Rolls and Vietnamese Rice Paper Rolls - as well as their famous Beggar’s Purse Dumplings filled with mushroom, leek, bamboo and peanuts. Whilst we cannot account for the Beggar’s Purse luck authenticity (the name might not inspire confidence), these dumplings look like little pouches full of coins. And we’re definitely not ones to sniff at spare change. 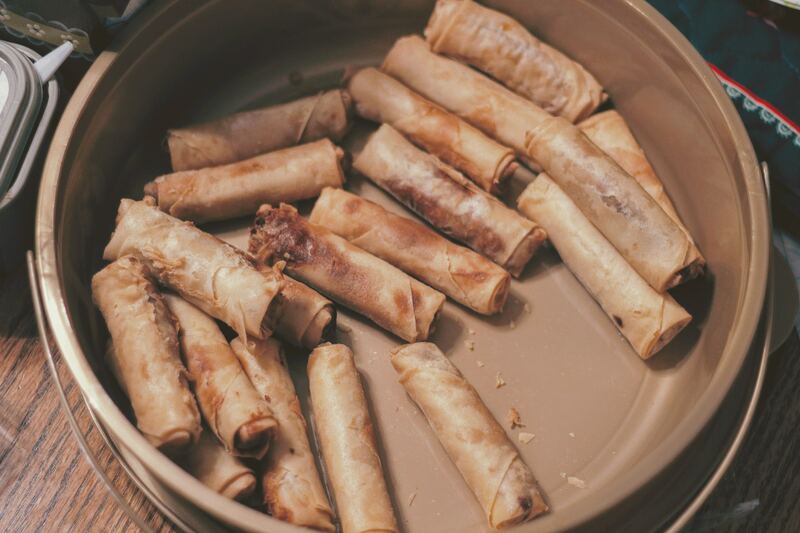 Lucky saying for Eating Spring Rolls: 黄金万两 (hwung-jin wan-lyang): 'A ton of gold' - a wish for prosperity. Fish is a traditional Chinese New Year dish, as the word for ‘fish’ (鱼 Yú) sounds like 'surplus' - always a good thing to have at the end of the year. Makes sense: leave a proverbial bit behind, and you have something to go forth with in the following New Year. 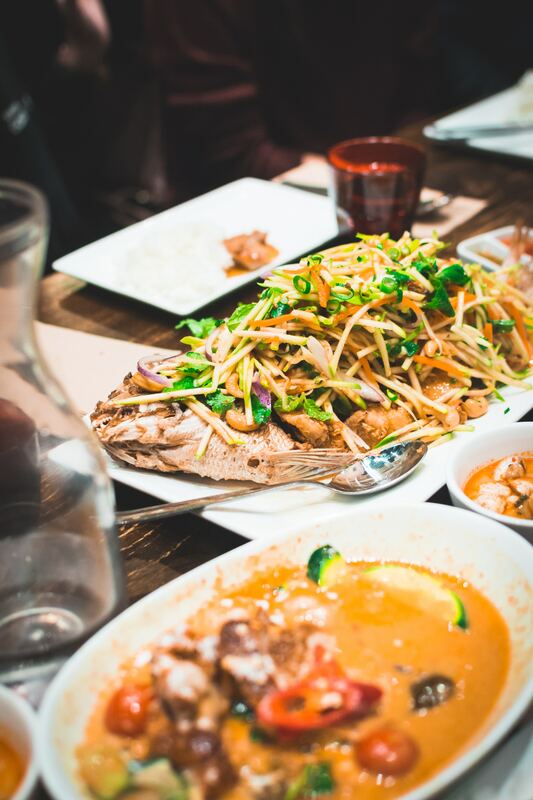 Steamed fish is a very popular Chinese New Year recipe, and Regal Chinese Restaurant - a staple of Chinese cuisine for Wellingtonians for more than 30 years - has an impressive array of seafood, especially whole fish. Try the Steamed Seasonal Fish with Black Bean Sauce or with Chinese Vegetables. Again, there are technicalities - you have to eat the right fish to bank your luck. New Year fish dishes are selected, based on lucky sounding words that convey bounty. For example, the Chinese word for ‘catfish’ (鲶鱼 niányú) sounds like 年余 (nián yú) meaning 'year surplus’. Gotta love that surplus. Lucky Saying for Eating Fish: 年年有余 (Niánnián yǒu yú) "May you always have more than you need!" Wealth and fullness. That’s what you’re in for when you stock up on oranges and tangerines during Chinese New Year. 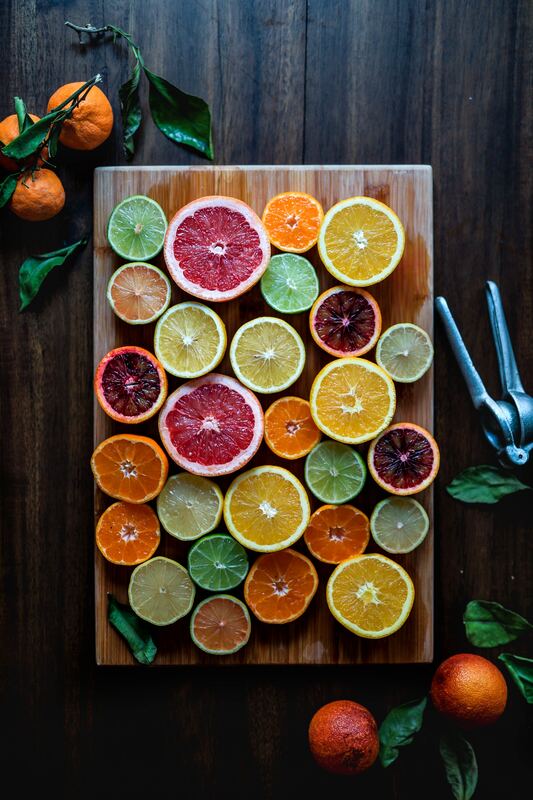 Citrus fruits, which are round and golden symbolise fullness and wealth. The Chinese word for orange and tangerine is 橙 (chéng), and is similar to the Chinese word for 'success' (成). Additionally, one way of writing tangerine (桔 jú) contains the Chinese character for luck (吉 jí). See where this is going? So, pop down to Moore Wilson’s, New World, your local green grocer or farmers’ market to stock up on your annual dose of fullness and wealth. Or perhaps you can also enjoy your luck in dessert form? (Surely.) If so, Dragonfly has a Dark Chocolate Mousse on its menu with orange, chilli, cardamom, vanilla anglaise, pistachio tuile and lychee puff.